Average 4.4 / 5 out of 10 total votes. Procrastinator extraordinaire, Fang Ning, had lost his consciousness after banging his head on a night of celebration. He woke up to a realization that he no longer had control of his body, as a System had taken it over. Will he eventually regain control of his body or will he be trapped in his body forever? How does he maneuver this situation? What’s in store for Fang Ning? 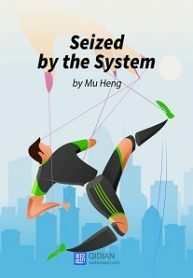 You’re reading Chinese web Novel “Seized by the System” on BOXNOVEL . Thanks!